Ceiling fans are a great way to keep the air moving to cool down in summer and push heat from the ceiling in winter. If you are considering ceiling fans, here are six reasons why you need a pro to install that new ceiling fan. 1)Electricity is dangerous. Even household currents are strong enough to cause severe injury and death. Professional electricians deal with this every day. They have the tools and the experience to keep people from being hurt. 2) Pros have the tools. 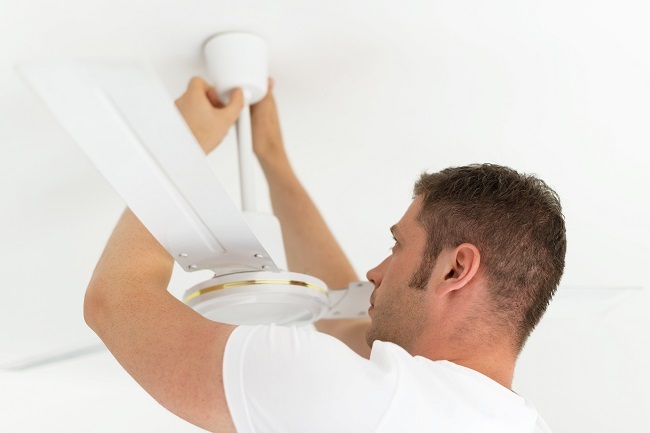 Sometimes installing a ceiling fan is as simple as mounting it to a bracket in the ceiling and connecting wires. What if a bracket needs to be placed? What if more wiring has to be run from a wall switch or even from the panel box? Saws and drills are just a few of the tools needed. Professionals already have everything they’ll need on the truck. 3) Done right. When you hire a professional, the work is done correctly. If there is a problem with the installation work, the professional comes back and makes it right at no charge to you. 4) Safety. Poor or bad wiring jobs are ranked in the top five reasons for house fires in the US. Professional electricians know how to get the wiring right. It will last a lifetime when they do it. 5) Older wiring. Some older houses were not built to today’s strict building codes. The available wires don’t match the color coding in the ceiling fan schematic. A professional knows which wires to connect where, no matter the color. 6) The right fan. How much fan do you need? How much is too much? 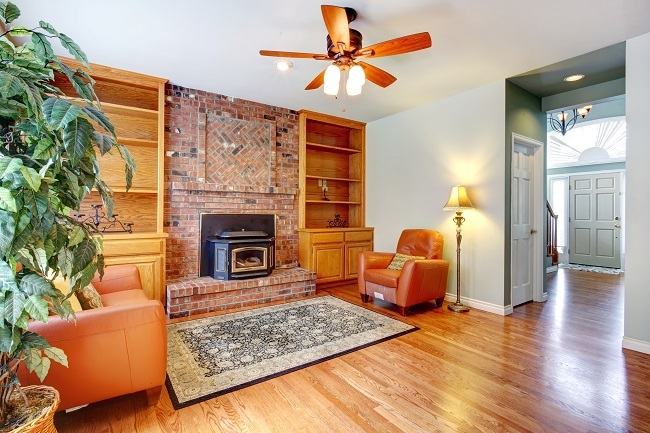 Experts know exactly what you need for the space you want the fan to cover. Need a ceiling fan installed? Contact us and we’ll get the job done right the first time. Style – Ceiling fans are available in a wide variety of designs and sizes. You can choose a model that serves as a nice accent piece for a room’s decor or opt for something more subtle. Styles range from brass and natural wood to wicker or painted wood. You can find a ceiling fan to meet your needs and your sense of style. Comfort – Who doesn’t like a cool breeze on a warm day? Ceiling fans are a great way to cool off any area of your home. A ceiling fan can provide cooling in living rooms, bed rooms, dens, kitchens, and even porches. Unlike box fans and oscillating fans, ceiling fans provide a nice breeze without the annoying humming sound. In the winter, you can even reverse the direction of the ceiling fan with the flip of a switch to better circulate warm air that gathers near the ceiling. Savings – We all hate opening the electric bill every month, especially during summer. When the temperature goes up outside, so does the electric bill. Ceiling fan installations are a great way to help reduce your air conditioning bill! You can keep cool in the refreshing breeze of a ceiling fan while conserving energy by running your air conditioner less. We can help with your ceiling fan installation needs — contact us today!